Extraspace Solutions were awarded the contract to Design and Build a new Modular Consultants Building to include MRI & Linac Facilities at Basingstoke Hospital, Hampshire. 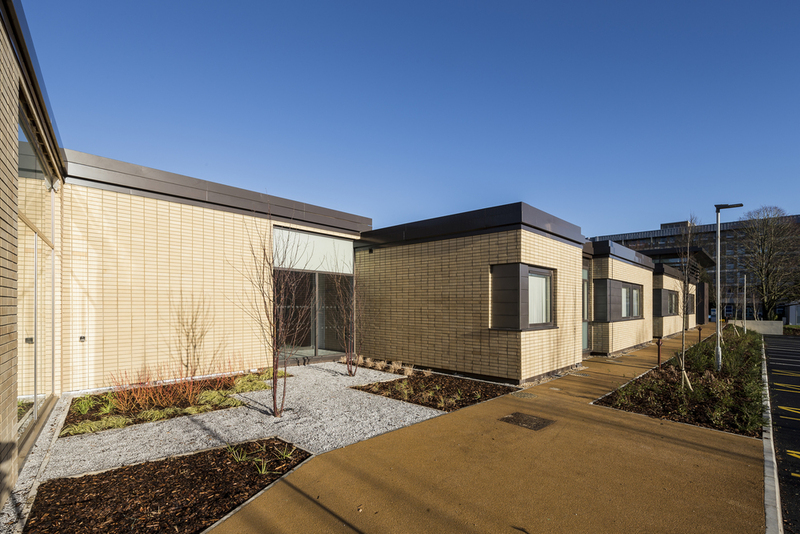 The project involved the construction of a new, single storey steel-framed modular building on the site of the former Donald Burrell Centre within the Hospital. The new building comprises of two main elements. Front of house offers a Private Patients Facility which includes 12 Consultant Suites, 6 secretarial rooms, staff rooms, offices and bespoke main entrance and modern reception area. The second part of the building is a dedicated Radiotherapy building which contains CT Room, X-ray room, MRI room and a Linac Bunker. In addition to this, each element of the building has its own dedicated ancillary rooms to accompany the treatment areas. At the beginning of the project works commenced with the demolition of the old Donald Burrell Centre building, and site clearance. Ground works then took place for all works, including bespoke works for the linac bunker and X-Ray room. Works to these rooms included liaison with specialist sub-contractors, especially for the linac room, where NELCO blocks were required. Extraspace Solutions utilised an integrated construction approach combining traditional and modular building. The structure was designed and built to provide a sustainable building in compliance with all current building regulations. The building is fully HTM / HBN compliant. The form of construction, a “flat pack” construction technique was utilised for the modular building in order to get the appropriate floor to ceiling height of 4.2m. This building boasts some unique elements such as internally enhanced architectural features including Gustafs wall panelling and feature lighting, Internal court yard, zircon panels, corteen screen and zinc wall panels. This Site won a Bronze Considerate Constructors Scheme 2014 National Site Award. 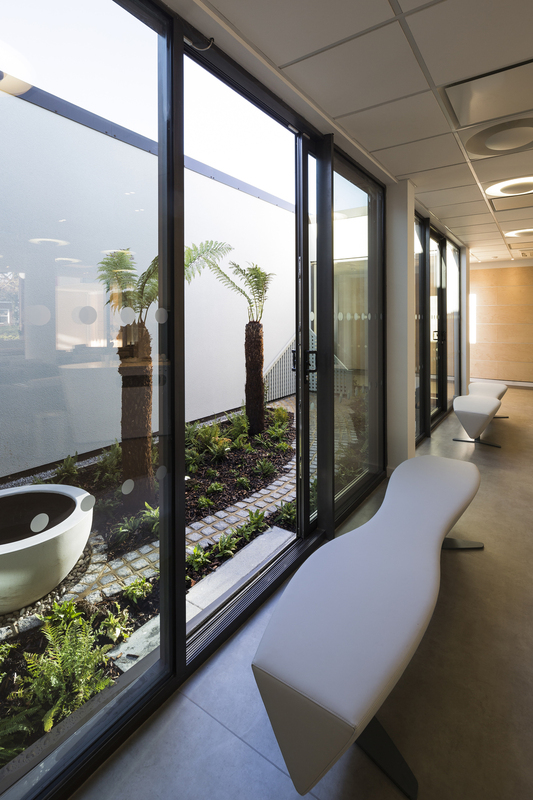 Basingstoke Consultant & Radiotherapy Facility has also been nominated for an LABC Building Excellence Award for Best Public Service Building which will be announced in June 2014. Apart from providing an award nominated building Extraspace Solutions comprehensive team has a healthy mix of academic knowledge and practical approach. They have listened to their client, understood the brief and have delivered an innovative, high quality mixed-use building. Their pro-active and forward thinking has helped develop a team approach with the client team and they have outperformed expectations. Through their carefully thought out delivery approach to the whole project from inception through to completion processes has meant this build has proven to be not only a good example of building excellence but also a good experience for the client/stakeholder group when the project is fully coordinated. This is evidenced by the local planning officer nominating the construction for a building excellence award. As the Associate Director of the Project working with an extremely knowledgeable Project Manager we have benefited from an excellent working relationship with Extraspace Solutions management, their architects and their team on the ground and have been highly impressed by the management of their sub-contractors.